Amazon Video, or Amazon Instant Video (formerly Amazon Unbox and Amazon Video on Demand in the US, and LoveFilm Instant in Europe), is an Internet video on demand (VOD) service by Amazon in the United States, United Kingdom, Japan, Austria, Germany and soon India. It offers television shows and films for rental or purchase. Selected titles are offered for free to customers with an Amazon Prime subscription, a move that angered some UK consumers when it was bundled with a non-negotiable 61% increase in the subscription fee. Like competitors, Amazon has pursued a number of exclusive content deals to differentiate its service. Most recently, Amazon reached a multi-year licensing deal with content provider HBO. The US service debuted on September 7, 2006, as Amazon Unbox. On September 4, 2008, the service was renamed Amazon Video on Demand. The Unbox name still refers to the locally installed player, which as of August 2014 is no longer available for downloading purchased instant videos. 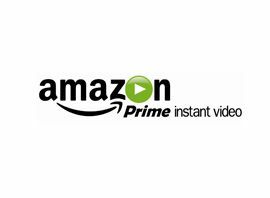 On February 22, 2011, Amazon rebranded as Amazon Instant Video and added access to 5,000 movies and TV shows for Amazon Prime members. On September 4, 2012, Amazon signed a deal with pay-TV channel Epix to feature movies on their streaming service, in a move to rival their competitor Netflix. Additionally, in November 2013, Amazon premiered the comedies Alpha House and Betas, which are original series available exclusively online via the Prime Instant Video service. Amazon offered the first three episodes of both series at once for free, with each subsequent episode released weekly thereafter for Prime members. In February 2014, Amazon announced that the streaming service of its UK subsidiary LoveFilm would be folded into the Instant Video service on 26 February 2014. In January 2015, Transparent became the first show produced by Amazon Studios to win a major award and the first series from a streaming video service to win the Golden Globe Award for Best Television Series ? Musical or Comedy. On July 30, 2015, Amazon officially announced that they had hired Jeremy Clarkson, Richard Hammond, and James May to produce a 3 series long car programme for Amazon Prime Video. Jeff Bezos or Amazon.com have not stated how much Jeremy, James, or Richard are being paid to produce the programme, but Jeff Bezos stated that the deal was "very expensive, but worth it". The budget for the show has not officially been announced, but Andy Wilman, the late executive producer of Top Gear stated that each episode would have a budget of around £4.5 million, 9x larger than Top Gear´s budget. The new show is reportedly set to air in the Autumn of 2016. In September 2015 the word "Instant" was dropped from its title in the US, and it was re-branded simply as Amazon Video.